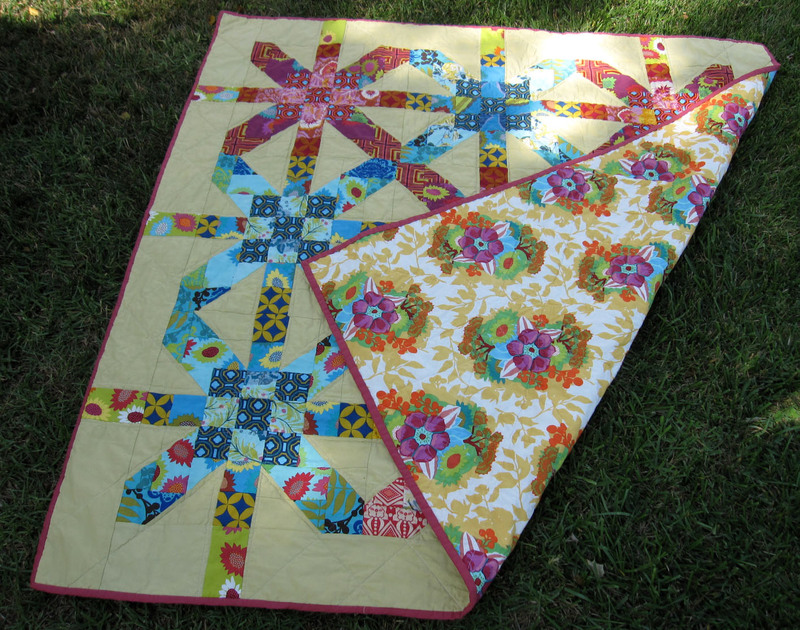 The History Quilter: Friendship Through Quilting and a Giveaway! Over the past 2 1/2 years the online quilting community has opened up a whole new world to me. Fabric, texture, color, design and movement.... Flickr, pinterest, swaps, linkys, comments....I could go on. But the most important thing that it has opened up for me is friendship. Friendship through a shared craft/hobby/art although online should not be overlooked or undervalued - the access we now have to others across the globe to enhance/learn more about our love of quilting is real. For example there is Debbie from A Quilter's Table - a perfect example of an online quilt blogging friend who has slowly crept into my daily consciousness with her witty prose and her amazing creations. Although we may never meet (I sure hope we do!) in person, I so enjoy the almost instant feed back if I have a question or a photo to share with her. Just love that bag...I used it last night! Well last Saturday Zina and I went to a local quilt show together and had a great time. Who knew there was another quilter approximately 1.4 miles away from me who is normal? I laugh at typing this as when I called her to set up what time I would pick her up I told her that I was "normal" and that she shouldn't worry...what a laugh we had in the car about that later. Thrilled to have a quilting friend so close! I see trips to M&L in our future, Zina. My last example brings me to my best bud in my daily life. She is going through a divorce right now and one of the things she told me she wanted was a quilt for her bed as her soon to be ex never liked quilts. So now her mother and I are working on making her a quilt for her bed. Love the idea of making my best bud's life a little better with a quilt. Supernova is done and folded up on my couch right now. Will probably wrap myself in it tonight after I return from Back to School night at the high school. The rain and (relative) cold we are experiencing right now make it a perfect night to wrap in a quilt. The T-Shirt Quilt - shirts sent to me by my cousin in Maryland. Shirts cut out and 1/2 are now backed by interfacing. Quilt top for my Best Bud - I'm only doing 1/2 of the blocks for this quilt top and then will hand them off to her mother to finish. I'm linking up with Lee from Freshly Pieced so please go on over a check out what other's have on their WIP lists for today. I just love that Supernova quilt--fantastic! I've also made a lot of friends through quilting, both in person and online. Gotta love another quilter. Mom got me started in quilting--first by having all those enticing magazines and catalogues around the house. I kept picking quilts out and saying, "I want you to make me THIS one." Finally she said, "You know, you could learn how to make them yourself!" Perhaps self-defense on her part, but started me down a bunnytrail that hasn't ended yet! Your Supernova came out wonderfully! Actually quilting for me started as therapy after the death of my son. Since then it has grown into one of the loves of my life. Now if there were just more hours in the day and I didn't have that darn full time job maybe I could get more done. I've only been doing this whole blogging thing for a couple months but I have really been struck by the friendships I am making with my wonderful internet friends, too! Completely agree with you about Debbie. Isn't she fabulous? I love your Supernova quilt! Great colors and backing! My mom is a quilter, so it has kind of always been in the background and I've dabbled a little here and there, but I've only really gotten serious about it in the past year. But, MAN, am I glad I have! Thank you for the amazingly generous giveaway, and congratulations on your milestone! 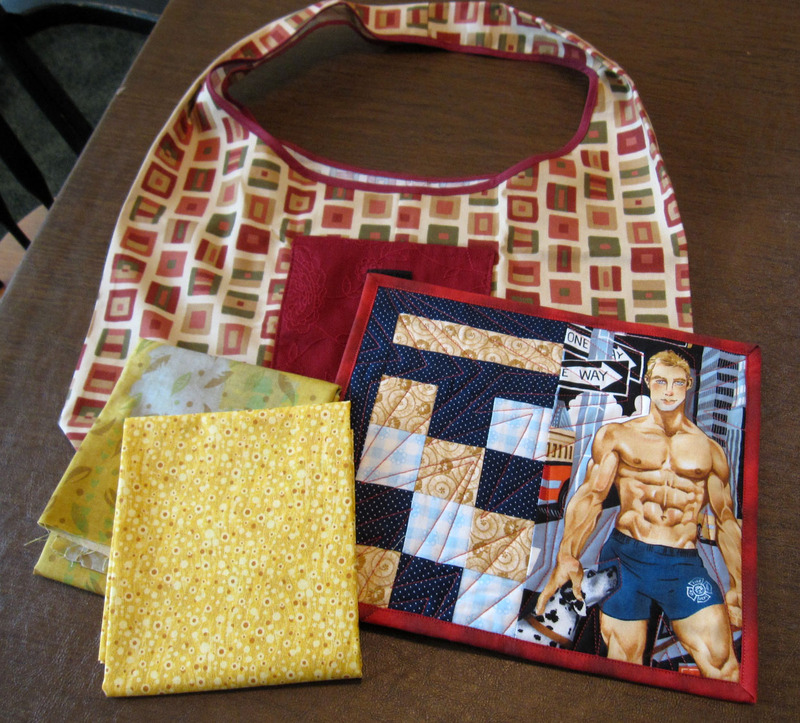 My quilting journey began waaay back in high school, as a way to use the leftover fabric from clothes I'd sewn. I also found some UFO's of my mom's and re-purposed the fabric. Sewing started when I was about 4, as my trolls needed clothes. Getting me into quilting was a joint effort on the part of my MIL, Mom and sisters. They took me to a quilt shop, bought me a pattern, gave me fabric, helped me cut it and cheered me on as I pieced it. I got my own mat and rotary cutter for my birthday, the lack of which had been my main reason for not doing another quilt. I can't cut straight with scissors at all! After that I was lost in the quilting world and haven't looked back. Now that things are settling into a routine in our new place, I am slowly getting back into the swing of sewing. Wow, what a generous giveaway! Congrats! My grandmother was super crafty and every time we spent a week at her house during the summer, we would go through her craft magazines and do projects together. My mom taught me to sew when I was little so I could make clothes for my teddy bears. Then the quilting bug got me after watching Eleanor Burns on her first tv show twenty something years ago! Congrats on your gorgeous supernova finish!! And on your 50+ followers! Oh my. How sweet, Susan. I totally feel the same way about you, & we BETTER meet some day - ha! I sure hope so! That is so cool you were able to meet up with Zina - very fun. Also so precious that you are making a quilt for your friend who is going through a difficult time. I became obsessed with quilts when I was a teenager and I fell in love with an old, very basic crazy quilt that my Grandmother had made. The idea of quilting stuck with me until I decided to make my first quilt 25 years ago as a gift for my husband's sister when she got married. It's a beautiful, original design. But since then life got too busy with kids and work. Now that my kids have moved away from home, I've started quilting again and I'm so happy to find such a massive and delightful online community to inspire, teach, and share with. Thanks for being one of those who inspires me! My blog name says it best - Hope Sewing is Genetic! My Grammy was a HUGE craft nut - she sewed me clothes growing up, crocheted/knitted clothes for Barbies, made afghans for everyone, and made kitschy counted-cross-stitch sweatshirts for herself for every week of winter. I loved quilts for many years. Actually, when I was in college, one ofmthe girls in my dorm tried to teach some of us - but it was hand piecing and a cardboard template and I was a busy college student so that fizzled. I was sure that I would never have the patience to make a quilt. Fast forward about twenty plus years when our church started having Christmas auctions, the highlight of which each year was a hand quilted (but mostly machine pieced) quilt made by some of the older ladies in the church. I could never afford to actually buy one, but I sure enjoyed bidding on them. One year during summer vacation (I was a teacher in a previous lifetime), I walked into the room at church where the ladies were working on a Christmas Cathedral Window quilt & asked if there was anything I could do to help. There was. And seven years later, I have been the quilt project leader for the last five quilts plus taking classes and making a few of my own. I don't really know how it started. Maybe with my mom giving me a sewing machine shortly after I got married. Then slowly progressing through learning how to sew. My first big quilt that I finished on my own was for my little brother. I enjoyed the process so much I wanted to do more. I have always been an artsy person, but I was more into the paper arts for the longest time. then my mother-in-law retired. She got bored. She started going to some quilting things and didn't want to go alone. I started going with her and got hooked on the fabric. :) I am now a quilter first and paper artist second. Wow! What a nice gift! I've also met some on-line quilt friends who are now friends in life! Definitely a good thing! My mom taught me to sew, mostly garments, but I made my first quilt after seeing a quilter's booth in a craft fair that was insanely creative. It was 25 years ago and in Louisiana (where I grew up, and where you just don't use quilts that much). After I discovered rotary cutters and long arm quilters, there was no turning back! I love your Supernova! it's on my to-do list! Ha 53! Thanks for the great reading on your blog by the way. Just discovered you last week by going through Lee's WIP Wednesday. 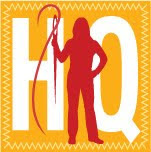 You are absolutely right about the online quilters. I'm so glad they are around, because I don't know anyone who lives close to me that quilts. I got into quilting last year during my pregnancy because I was told some of the complications I was having were due to stress and I needed something to de-stress. So along came something creative that my Mom does. I'm so glad I've started quilting. I now actually have something in common with my Mom (other than being really, really stubborn and blunt) and I have a new creative outlet. Congrats again on the finish. I wrote a whole series of post over on my blog about how I got started quilting. Go check it out, for the quick and dirty version, I am a copy cat and I wanted something to do with my mom and sister in laws, then I went back to quilting later in life because I needed something to de-stress. I began sewing at 10 when my friend's grandmother was a seamstress. She encouraged me by giving me scraps to make clothes for my dolls. That was 60 years ago and have continued this love and fascination with cloth and any thing that involved sewing. I have only begun quilting a few years ago when I retired. I enjoy your blog and love your podcast. The research you do on various subjects is very interesting, as is your family life. Sometimes I feel as though I am having a cup of coffee with you as you share your information. Great podcast and blog. Keep it up. first of all, congrats! what an excellent milestone! i need to stop reading in the reader, because i have missed your cool header! i got started because my sister was having a baby and i knew all babies should have a handmade quilt from a family member- so why not me? i read a book, discarded it and just started freewheeling and haven't stopped since! It was so much fun for me to go to a quilt show with another quilter. I'm so used to going to all quilt events by myself or occasionally dragging a non-quilter along with me, and it was refreshing to go with someone who knew what a nine patch was, yay! I am looking forward to more adventures with you Susan, and how convenient that we are so close to each other. I love reading everyone's comments about how they got into quilting. I think I had always been fascinated by quilts, beginning with the double wedding ring quilt with 1930's fabrics that my father's grandmother made for my parents when they were married. Many years later I made a passing comment to my mother about how I was becoming interested in quilts, and she checked out a book from the library by Ruth B. McDowell to show me. It changed my life. I have yet to make a quilt in her style, but I was amazed at her ability to make fabric look like a beautiful painting and I really admire her work. That's a tuffie...I can't ever remembering not holding a needle and thread. Embroidery, crewel, clothes repair, quilting...but I guess both my grandmothers probably influenced me the most. Particularly my mom's mom. She had crippling arthritis but she would sit on the porch all summer long and piece and then she would quilt all winter on the tops she had pieced. Sadly most of her quilts are gone now, but I still have memories. I've been a sewer forever - since I was eight - and sewed many of my own clothes as I grew up and into early adulthood. Then I turned my attention to home dec and clothes for my kids. In Canada, the smaller fabric stores have disappeared, to be replaced by large warehouse type stores, with poor quality fabric, few staff and very untidy premises. Instead of peacefully wandering around fondling lovely fabric, I just get stressed out in those places. I kept looking for the elusive quality fabric store and evey now and then I'd wander into "Fabric Cottage". I just didn't get it - why did they only have cottons, and in these old fashioned designs? Who would want a shirt or a dress made out of that? They did have lovely quilts on the wall, but, initially, I had no interest. I kept going back, though, because the shop had the ambiance that I loved - clean, well set out, friendly staff. I kept hoping they would smarten up and start stocking fashion or home dec fabric. Each time I went, I noticed the gorgeous quilts, and started wondering whether I could make one. Frankly, I was a little scared because, well, I believed I had no artistic sense at all. I was scared to pick out the colours myself. I finally got up the courage to ask about beginner classes, and was encouraged to sign up. And, when it came time to buy the fabric, I was delighted that the knowledgeable saleswoman was willing to spend a good half hour with me, explaining how to pick fabric. With her help, I chose some great fabrics for my first quilt and was thrilled with the result. That was 1999, and I was hooked. I have made one set of curtains and one shirt for my husband since - and both of those were tackled reluctantly. They were cutting into my quilting time! My sole craft since then has been quilting. I'm still as excited about it as I was then. My gran taught me to knit when i was 7 and i was hooked on craf/textilest from then! Mt sister got me started. I was seeing all the wondeful things she was making and I wanted some of my own. I picked up a magazine with a quilt I wanted to try, and the rest was history. Now I get most of my inspiration from blogs! Hi Susan, It was my mum that taught us all (6 girls)to sew, she was a home ec teacher so that will do it! I have come back to sewing only in the past year, My sisters little one arriving made me want to make little dresses and other things for her. Blogging has been great but I seem to not get as much sewing done as I use to. For me, it was all my mother's fault. She would quilt while I was sewing clothes when I was in my teens. Fast forward 7 years and I'm bored sewing clothes so I call mom and ask her what it was she used to work on next to me. Your Supernova quilt is so pretty! I started quilting when my friend gave me an Amazon gift certificate and I used it to buy my first quilting books. Thanks for the chance to win! My mother taught me how to knit and also embroidery and tried to teach me how to sew but i never wanted to learn. Now that she is seriously ill and unable to teach me, I'm sorry I didn't take the chance to learn from her while I could and am trying to learn sewing and quilting through online tutorials. And I'm loving it. No specific thing got me started. I've just always loved quilts starting with the true use-it-up, old clothing scrap quilts we had growing up. I thought they were wonderful and always said I wanted to make one before I died. Now I've made several and can't seem to stop. Your Supernova is wonderful and the backing is absolutely perfect! When I married my husband he had many old quilts from his grandmother..I imagine pieced in the 1920's. I was so impressed with the passing down of all these labors of love I started quilting. My first quilt was in 1984 when my daughter was 3. We would sit at the quilting frame and quilt. She would go in and out with a big needle ...no knot. I was hooked. Then went on to make quilts for each of my kids. Now finishing baby quilt for my new grand baby. My husband has passed and now I am continuing the tradition of passing down quilts but now doing machine quilting instead of hand quilting as time is short. Thanks for offering this giveaway. I, too, am a new listener to your podcasts. I'm only on # 4 but will catch up soon.I'm really enjoying them. Keep it up! My grandma made me 2 quilts when I was a child that I loved dearly. One is gone (worn to shreds) and one is in my closet upstairs. I wish I could talk to her about quilting now, but she has been gone for many years. My mom taught me to sew as a child, and I've done lots of basic stuffed toys/clothes/home dec. stuff over the years. When my daughter was born, my girlfriend phoned and said her mom was going to teach her to quilt and that I should learn too. I said I had no time for a new hobby. She said, "Just come for tea". Yeah, right. So began the quilting bug. With 2 teenagers, there is never enough time to do as much as I'd like, but I love it, and I know there is lots of quilting in my future. It was my mother! My mother knows how to sew but she is a reluctant seamstress - only sewed when absolutely necessary. My mother was the one who counseled me on finding a hobby when I was a young new mother in a new town far from home and didn't know anyone. She suggested that I should look for a quilting class as they were becoming popular. The year was 1980 and quilting was again on the upswing. It took me a few years to finish that quilt and I can honestly tell you that it is downright UGLY! I might have pieced everything correctly but my choice of fabrics left something to be desired. I still have that ugly quilt as a reminder that fabric/color/hues play an important role in the overall quality of the finished product!